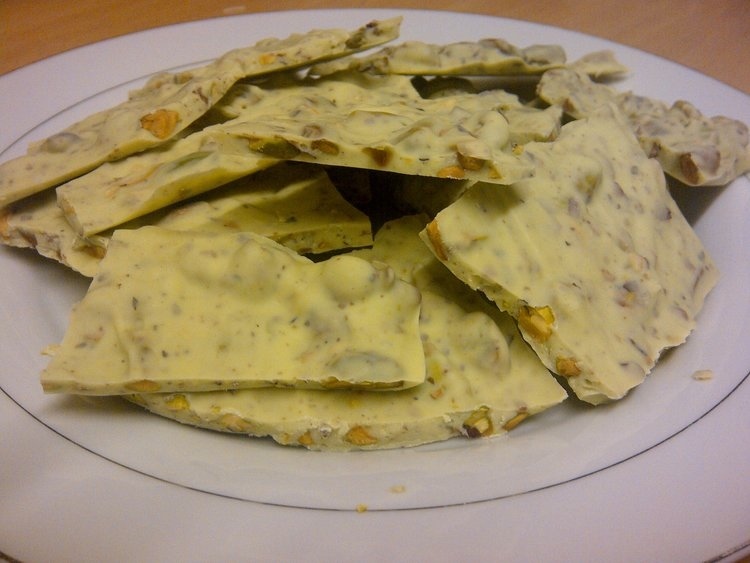 There are several versions of Pistachio Bark floating around, this is my take on it. It was a bit of an experiment because I had no idea whether the combination of peppermint and salted pistachios would taste good, but it really does – try it, you’ll see! 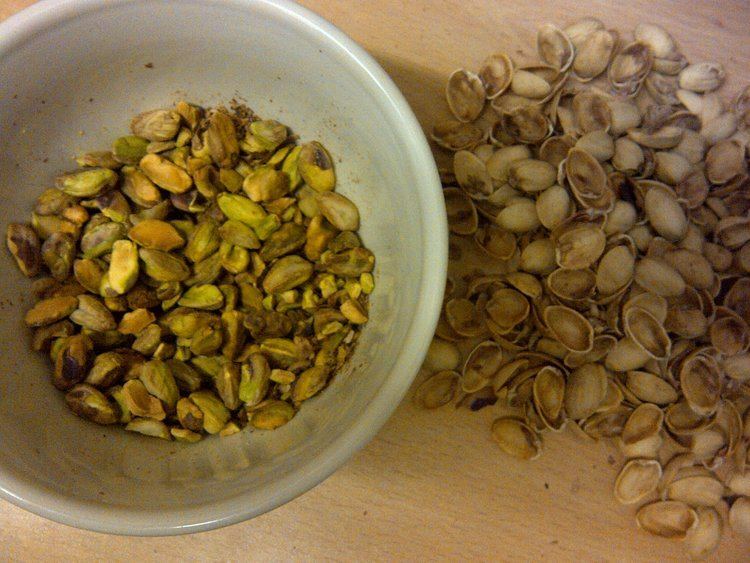 1) Remove the shells from the pistachios and bash them up a bit so that some stay whole and some are broken. 2) Break the chocolate into squares and melt over a double boiler, or in the microwave. 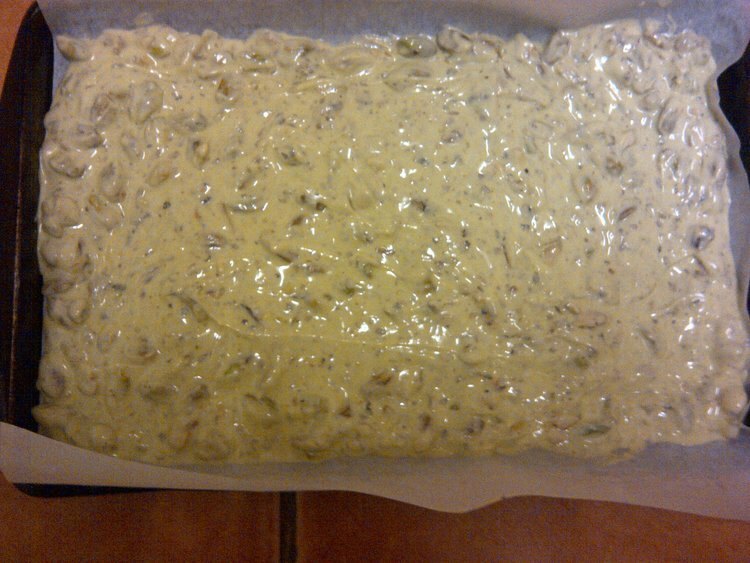 3) Stir in the green colouring, the peppermint essence and the pistachios. 4) Press into a 20cm x 30cm tin lined with parchment paper. 5) Chill until hard, and then break up into pieces. Having tried this now, I think it would make a really nice gift if you put a few pieces into a cellophane bag and tied it up with a pretty ribbon. That’s if you can resist eating it all yourself! ← Two cake experiments, with variable results! Well there certainly isn’t in this house! Yes, it really is so simple which is great! The longest part is shelling the pistachios. I’m not sure about other nuts, possibly, but nut and mint isn’t a combination you see very often, I can vouch that it worked with salted pistachios, but I don’t know if it would work well with all nuts. Also, the pistachios are all part of the green theme here! (Even though it does all look a bit yellow in my photo, in real it is pale mint green!). 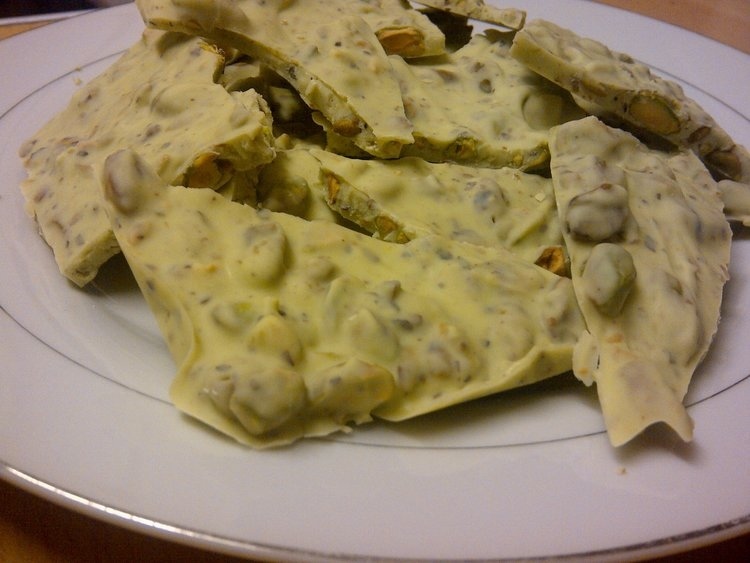 I love pistachios, but white chocolate, not so much. I may try this with milk or dark chocolate! Oh but then you wouldn’t be able to make it green! Still, I think it would probably work well with dark chocolate because mint and dark chocolate do go well together don’t they. I think a double batch is definitely the way to go!